After completing his high school education at Nelson College in 2004, Simon was signed by the Vodafone Warriors and made his debut in 2005. He soon became a regular feature of the line-up, playing in all 26 matches for the Warriors in 2007 and also appearing in each of the Kiwis' six tests. He repeated this feat in 2008, playing all 27 Warriors matches and every one of the Kiwis' seven tests including their historic World Cup final win. 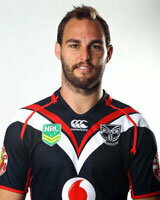 Mannering had played 92 games straight for the Vodafone Warriors when a knee injury ended his streak late in 2009. He is used predominantly in the back row but has been called on to play in the centres on several occasions, most notably filling in for Brent Tate in 2009. 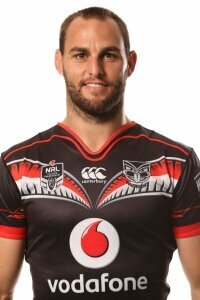 Mannering was appointed captain for the first time in 2010 and while a preseason hamstring injury disrupted his plans early in the campaign, he recovered to lead the Vodafone Warriors to the finals in his first season in charge. 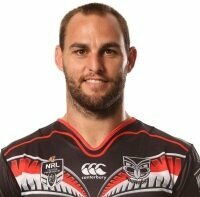 Mannering is an utterly reliable player with an exceptional work rate on both sides of the ball. He ranks among the Vodafone Warriors' all-time leading try scorers with 52 in 212 matches to the end of the 2014 season. In 2013 Mannering became the first player to win the club's Red Player of the Year award three times, have done so previously in 2008 and 2011 and 2013. In 2014 he became the second player to appear in 200 NRL games for the club and the first the captain the NRL side 100 times (bringing up the twin achievements in the same match against Newcastle). He has also racked up an impressive 40 Test appearances for the Kiwis. 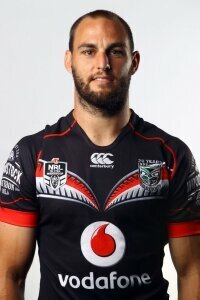 In April last year Mannering signed a new contract with the Vodafone Warriors to the end of the 2018 season. 2010 - Named captain of the Warriors. The youngest ever at age 23. A role he still holds.